The latest comic in my series "Who Needs Art?" 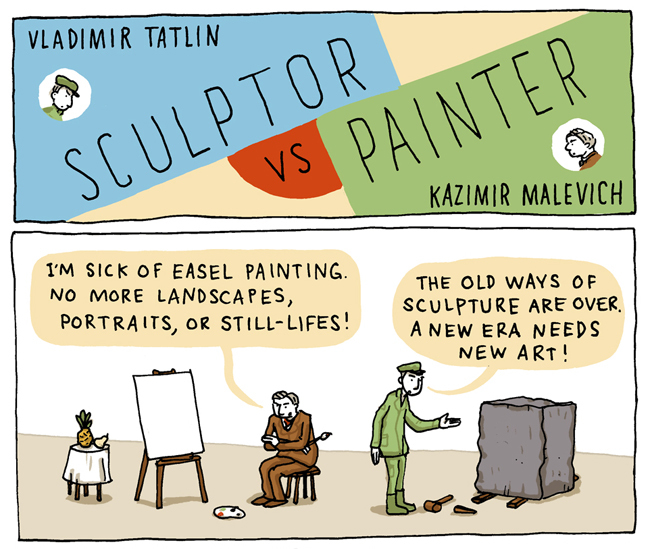 is verbal sparring match between two 20th-century Russian artists: Vladimir Tatlin, a Constructivist, and Kazimir Malevich, a Suprematist. You can read the full comic at Medium.com. One of my old painting instructors, Tom Holste, always said that "Sculpture is something you bump into when backing up to look at a painting."